Phoenix Audio is a California-based company building boutique-grade professional audio equipment. We design and manufacture pure Class-A circuits to the highest standards possible while offering excellent value, an intuitive user experience, and a sound that engineers, producers and musicians have come to love. 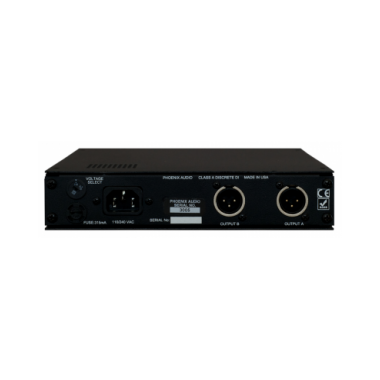 Our products include mic preamps, EQs, compressors, DIs and summing mixers. Originally formed in 1996 as the UK's leading service provider for pre-1980 Neve recording consoles, Phoenix Audio's lead designers include David Rees (formerly a designer with Neve and responsible for the famous 2253/4 limiter/compressor) and technician (specialising in large format Neve consoles) Shaun Leveque. Both designers have been with Phoenix Audio since it's inception. With their deep knowledge of the recording world's most loved Class-A circuits, David and Shaun went on to create their own products under the Phoenix banner. With their robust, forward-thinking Class-A circuits comprised of today's best components, their designs have fast become modern classics. Hand-wired in-house by a team of experienced engineers, one can sense—and, of course, hear—the quality of boutique, small-scale manufacturing in every piece of Phoenix Audio gear. In order to reach a wider clientele, in 2009 Phoenix Audio relocated to Costa Mesa, California. From our new home, our company's ethos, customer support and component sourcing have all continued to improve, year after year. We are proud to be an American manufacturer of professional audio equipment while still maintaining our British heritage.